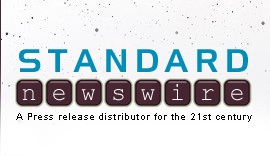 Standard Newswire is a cost-effective and efficient newswire service for public policy groups, government agencies, PR firms, think-tanks, watchdog groups, advocacy groups, coalitions, foundations, colleges, universities, activists, politicians, and candidates to distribute their press releases to journalists who truly want to hear from them. Do not settle for an email blasting service or a newswire overloaded with financial statements. Standard Newswire gets your news into the hands of working journalists, broadcast hosts, and news producers. New York, NY 10119, USA.